The Sega Master System was my first foray into console gaming as a child. Sega was a name that I was familiar with from my interactions with the arcade cabinets at my local sports centre in the shape of Outrun amongst others. It was in the arcade that Sega forged its identity, and that arcade magic was where it excelled. Sega came into the mainstream public consciousness with their hardware and to the greatest extent with Sonic, and the public perception of Sega is often judged by the quality or lack thereof of their mascot platformer. By that yardstick, in recent years Sega’s stock has fallen to an all-time low. My recollections of Sega as a hardware manufacturer may come off like your grandfather talking about fighting in the Gulf War, but Sega leaving hardware manufacture is what signaled the decline of Sega. To paraphrase Mark Twain, the reports of Sega’s death are greatly exaggerated. Sega may have lost their way considerably in the wake of their withdrawal from the hardware market, but the essence of Sega has never gone away. 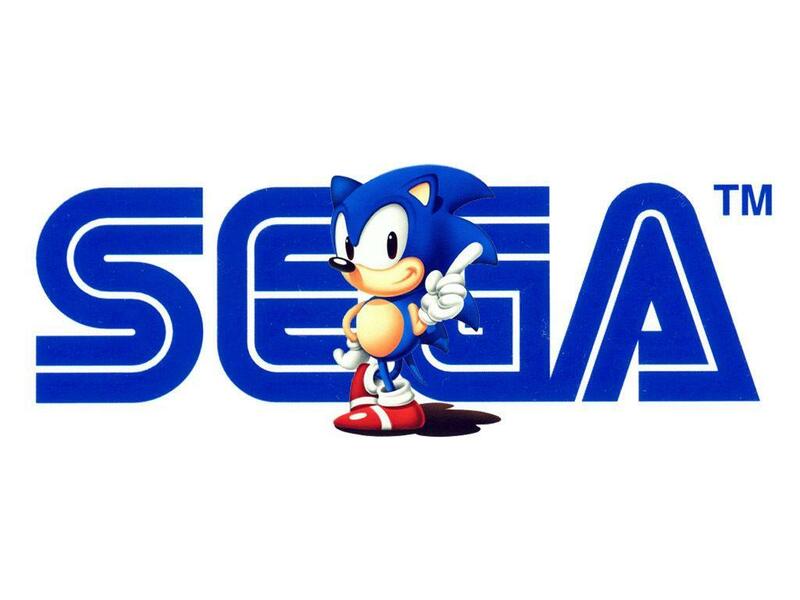 Whilst Sonic has languished in the videogame wilderness, Sega has still been producing quality titles in the intervening years (albeit intermittently) including games such as Football Manager and Total War: Warhammer from their subsidiaries (one of which is the superb Atlus), and from Sega themselves, Super Monkey Ball, Valkyria Chronicles, and most significantly the Yakuza series itself. The Yakuza series, created by Toshihiro Nagoshi, is a spiritual successor of sorts to Shenmue. 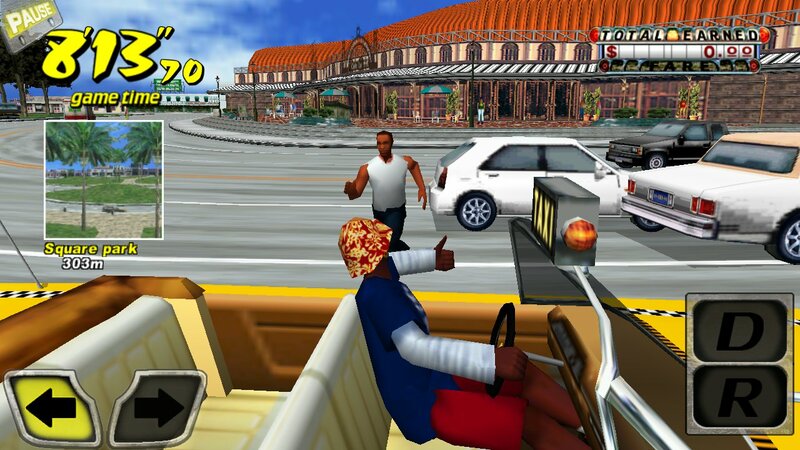 Like Shenmue, the game is set in an open world with a multitude of things to do and has a linear story that the player follows. 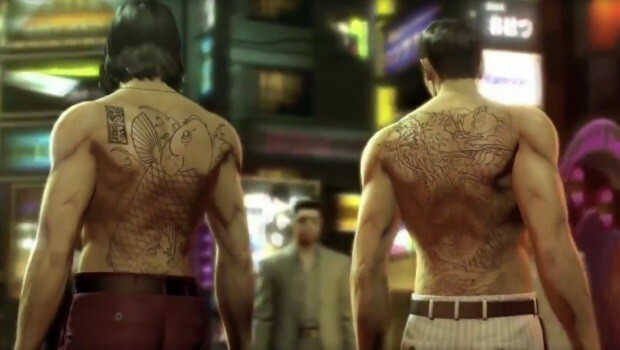 The Yakuza series is an evolution of gameplay and yet at the same time is made with a different design philosophy. The storytelling is on a grand scale interspersed with typically Japanese comic relief where appropriate. It is not hyperbolic to favourably compare the Yakuza story with a Naughty Dog production. What’s special about Nagoshi’s creation is that is goes beyond just telling a story and being set in an open world, it makes you feel part of the place and builds a living and breathing world. It’s a faithful representation of particular area of Japan down to the food outlets and licensed products such as Suntory vending machines. Most important to this sense of belonging are the sub-stories that bring you into contact with the locals getting you involved with their troubles in an often-times comedic manner that is a refreshing contrast to the deep and involved drama of the main story. Completing the triad of game elements are the mini-games that are a compelling distraction from the main story and the sub stories, but some have such depth that they could be considered a game all by themselves. In fact, the games in the Sega arcade were full releases of retro classics such as Outrun, but added to that in Yakuza 6, for example there is a street gang strategy game and a baseball management sim that are deep enough to warrant a significant investment of time and money. The latest installment, Yakuza 6, leverages these gameplay elements and knits them together into the progression system so your hours spent in the Sega arcade, the batting cages, and the hostess club are rewarded in combination with the points earned through progression in the story, beating off hoodlums in the street and visiting restaurants. In terms of gameplay framework, the series is the whole package as now the disparate gameplay loops all feed into progression in the game. It is the combination of all the three main elements of the dramatic main story, the intriguing sub-stories, and the amusing mini-games that sets Yakuza apart. The underpinning design philosophy of the Yakuza games is that they are games and shouldn’t be afraid of being such. Whilst the main story is dramatic, the mini-games are unapologetically fun in an arcadey way. 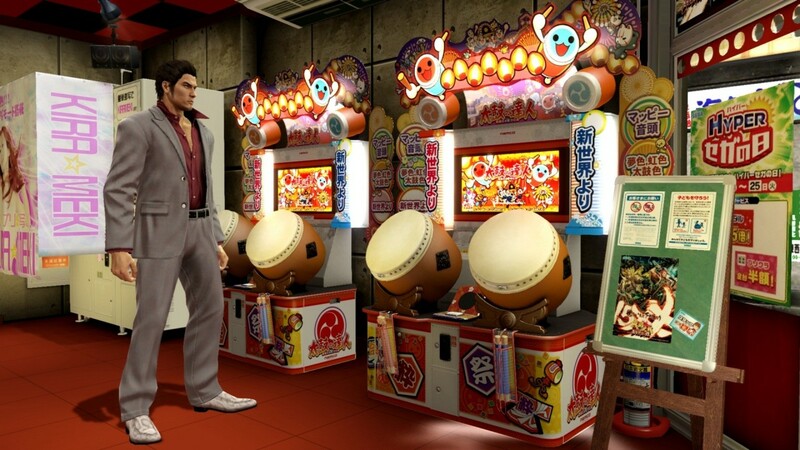 The set piece sequences in Yakuza 6 invoke the spirit of classic light gun arcade shooters such as Virtua Cop and House of the Dead set against the background of high-octane instrumental rock music. The combat system harkens back to Virtua Fighter, in that it is fun yet surprisingly deep. The general gameplay and mini-games exemplify the arcade gameplay in Sega’s DNA and acquired expertise of subsidiaries such as Sports Interactive, which gave us such games as Crazy Taxi, Super Monkey Ball, Chu Chu Rocket, Outrun, Hang On, Action Fighter, Alex Kidd, Sonic, Football Manager, Golden Axe, Hatsune Miku, Sega Sports, Puyo Puyo, Samba de Amigo, and Sega Bass Fishing to name a few. 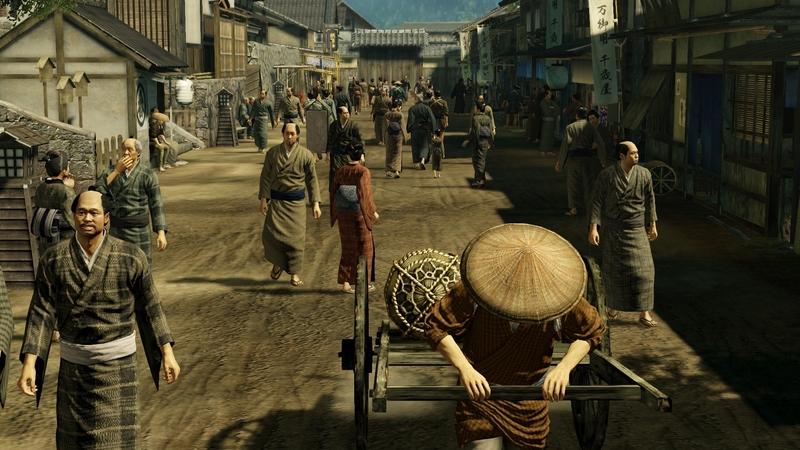 Considering the heavy influence of Japan on the videogame industry, it is somewhat shocking how few games are set in real world Japan, especially contemporary Japan. A major part of the enjoyment of the series for many is that it is set in Japan and we get to see all of the quirks that entails as well as the awesome food and sense of humour permeating the whole game. Sega recreated Kabukicho in Yakuza in painstaking detail from the konbini and vending machines to the hostess bars and internet cafes. Sojourns into other locales also evoke the sense of place of those places just as vividly. Sega have come to value the Japaneseness of the Yakuza series after butchering the localization of the first installment and censorship of content in Yakuza 3. When asked about how the acquisition of Atlus influenced their thinking, Sega Games CEO and President Haruki Satomi stated in an interview with Famitsu (via Siliconera), “As far as the Western market goes, we learned a lot from Atlus,” continuing, “If we can make a title with proper quality, I believe there’s a good chance for it to do well even in the West for players that like to play Japanese games.” Those are encouraging words from the big cheese at Sega. All we ask for now is that they speed up the localization schedule and release the games in the West way closer to the Japanese release. Sega effectively stymied demand for Yakuza by botching localization and not understanding that the appeal of their series lays in the quirky Japanese setting. Now that has been rectified, following the release of Yakuza 0, Sega will be able to judge whether the much requested PS4 versions of 2 to 5 are commercially viable. Yakuza demonstrates that open world games can have a great story whilst allowing the open world and sub stories to bring humour and acknowledge that a game can be a game without taking itself too seriously all the time. The inclusion of Outrun in the Sega arcade in Yakuza 6 brings me full circle on my gaming lineage seeing as it was among the first games I was exposed to. I don’t deny the many flaws in the Yakuza series, but they are far outweighed by the enjoyment that the series brings. As for Sega, the company picked themselves up from their bitter exit from the hardware market and although they may have suffered their own lost decade wandering from platform to platform like modern day Ronin, they have found their feet with Yakuza, and found a home for that franchise on PlayStation who were eventually receptive to the concept. The release of Yakuza 0 marks the start of the relaunch of Yakuza in the West and it appears to have gone over well. Atlus look poised to break into the Western market with the release of Persona 5 later this year. Who knows, we might even get not one but two good Sonic games this year. Sega seems resurgent, but whatever happens I hope we continue getting that Sega arcade magic for years to come. Charlie Milroy is a writer for The Game Bolt who lives life without continues savouring every moment of his gaming life and most of his real one. The Game Bolt Copyright © 2017.